Good Monday everyone! I thought I'd check in and see if you are enjoying reading "The Gifts Of Imperfection", by Brené Brown. I have been busier than a cranberry merchant, so I haven't finished it yet, but I am loving it and highlighting quotes as I go. It is definitely a book for everyone, no matter where you are in your life. "People may call what happens at midlife 'a crisis', but it's not. It's an unraveling--a time when you feel a desperate pull to live the life you want to live, not the one you're 'supposed' to live. The unraveling is a time when you are challenged by the universe to let go of who you think you are supposed to be and to embrace who you are." -preface xii and xiii. I'm home waiting for the snowstorm to hit and thought it'd be a good time to start the book club. I've wanted to start a book club for a while now, and thought it'd be a great way to get to know some of you and share our thoughts on specific books. 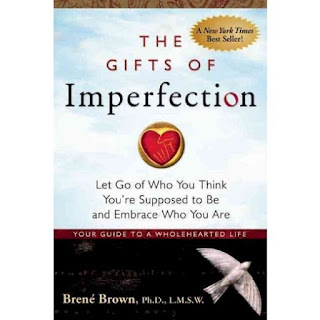 The book I thought we'd start with is "The Gifts Of Imperfection" by Brené Brown. This is about embracing who you really are, not who you think you should be or who the media tells us we should be. How many of us have become lost in trying to be perfect or trying to be the person that our boss or spouse or kids or society thinks we should be, that we've lost sight of the person we really are and like? An eye-opener for me- I don't have to wait for retirement to try new things! I know, shocking huh? I have been making a list, for years, of new things I wanted to try-when I retired. Why was I waiting? Why are you waiting? 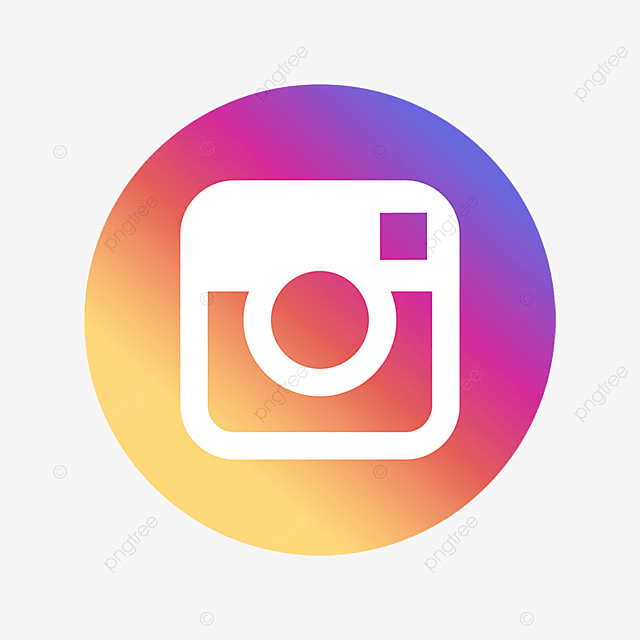 Are there new things you've been wanting to try and you haven't, thinking you'll have more time later? Your later is now! A New Language! Have you been wanting to learn a new language? Why wait? I have been wanting to learn Italian for years and recently started lessons online. Free! 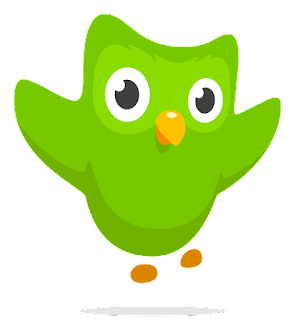 Duolingo is an online app that is free and sets you up with daily 5 minute lessons. Who doesn't have 5 minutes?!! Lessons start at the beginning and lets you go at your own pace. My daughter has been using this app for 2 years to learn French. You can set notifications to get an email, once a day, to remind you it's time for your lesson. So, you made a New Year's resolution to keep up with a planner this year? To stay on top of things? To stay organized and productive? To finally start that journal? It's the middle of February.....how are those plans going? If you're anything like me, you start the year with these grand ideas and ambitions, but before long these grand ideas have come to a complete stop. Why? Not because we're lacking in ideas, but because it becomes too boring and unappealing. 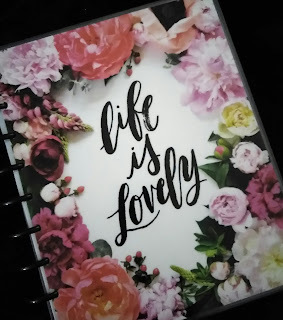 You don't have to go crazy decorating your planner and journal, like I do (but hey, it's kept me organized and on time, cuz it's so darn pretty). Here are some tips that may help you keep your resolution of using your planner. What about those of us who are over 40? Does it work for us? What products are best for our skin? Where do we begin? I'm sharing some of my K-BEAUTY loves and tips with you today. As we get older, our skin loses elasticity and moisture. Our skin becomes drier with each passing year. Sounds sad, I know, but there are some K-beauty products that I've fallen in love with and really pack in the moisture. 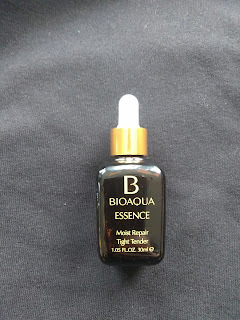 BioAqua Essence is a game changer! After double cleansing and toning, this essence is applied to fresh, clean skin. I warm it in my hands and pat it onto my face. It has greatly improved both texture and redness of my face. 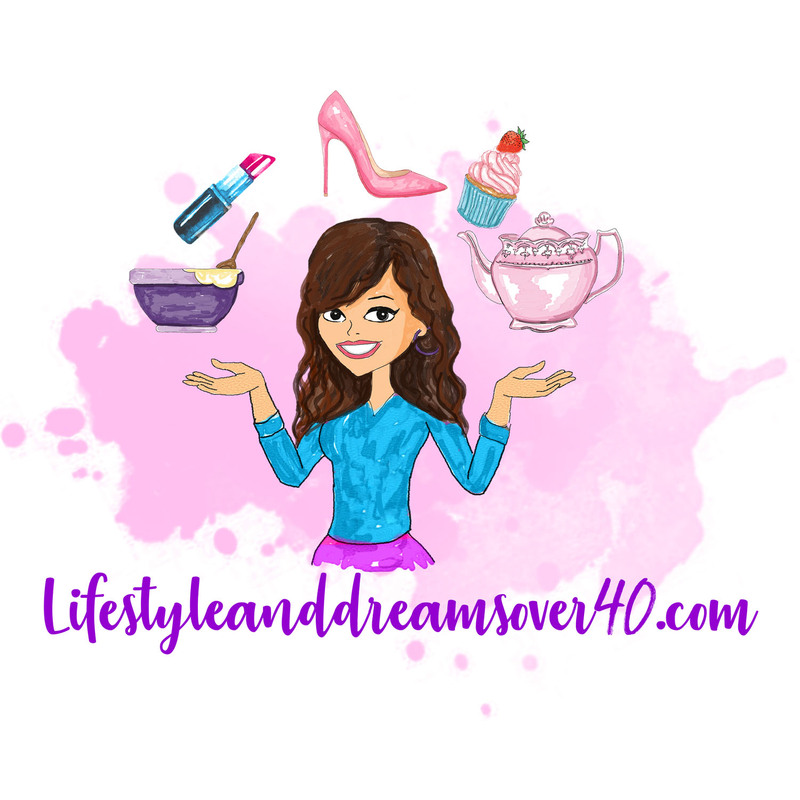 I love this product and I think you will too. It has been said this is a dupe for the Estee Lauder Night Time Repair. BioAqua Essence Wonder is a good product as well. A good serum to use before moisturizer.